Have you checked the forecast lately? Fat bike season is right around the corner! This year there is more competition in the fat bike market than ever which means lower price tags. 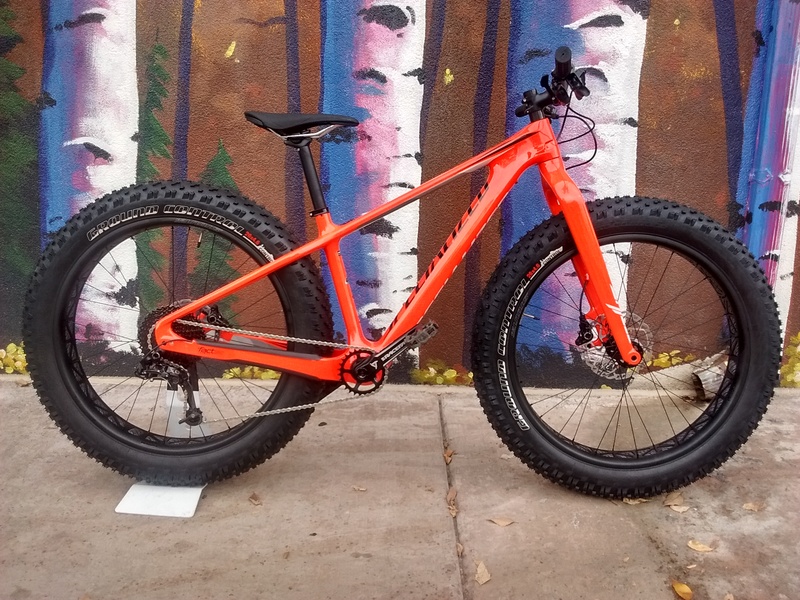 In addition to more complete bikes, there is a huge selection of fat bike parts available which makes it easy to customize your ride with wheels, tires, and other components that fit your riding style. One of the best deals this year is the Specialized Fatboy Comp Carbon. At $3200, this generously spec’d bike features a carbon fiber frame and fork, Sram 1×10 drivetrain, and 26 x 4.6″ Ground Control tires. The 2016 Fatboy Comp Carbon is currently on the floor at Peak Cycles in downtown Golden waiting to be ridden. Check out the full post for all the details!